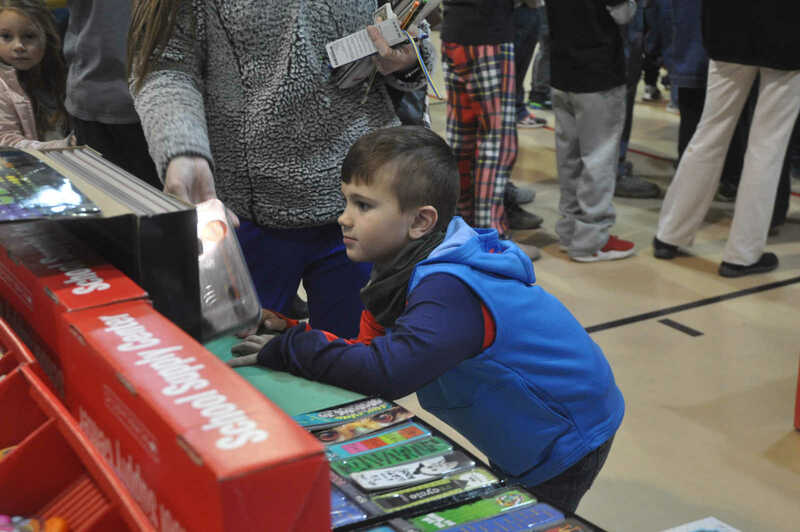 A Scholastic Book Fair Family Night was held the evening of Jan. 24 at Southwest and Central Elementary Schools. It was a dinosaur themed Stomp, Chomp and Read! 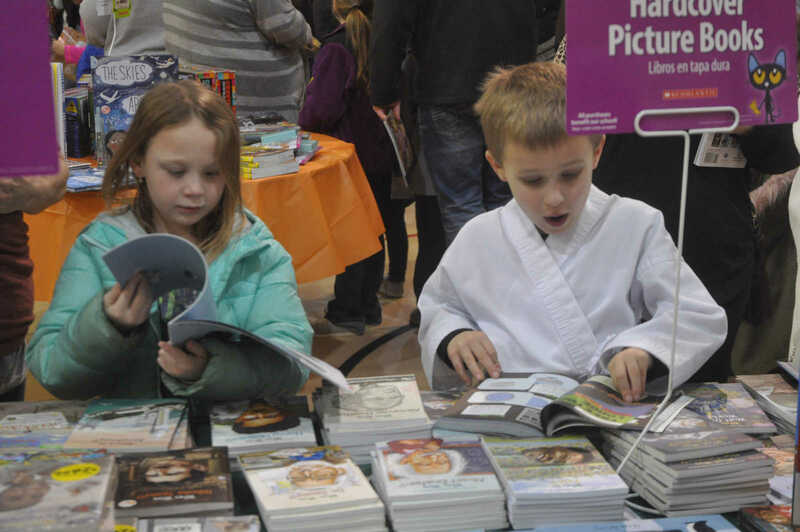 Book sales during the fair generate Scholastic Dollars, which are used by the school libraries to purchase new books and other needed materials. 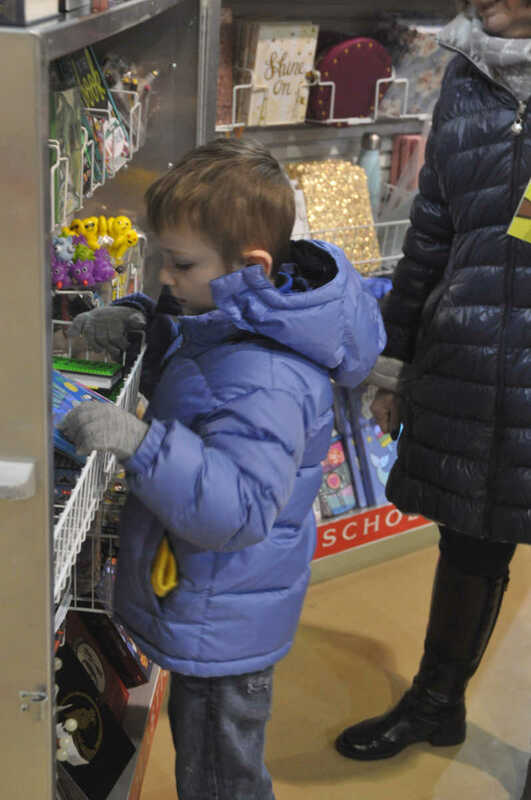 The book fair will run through Jan. 31 with each class attending at designated times. 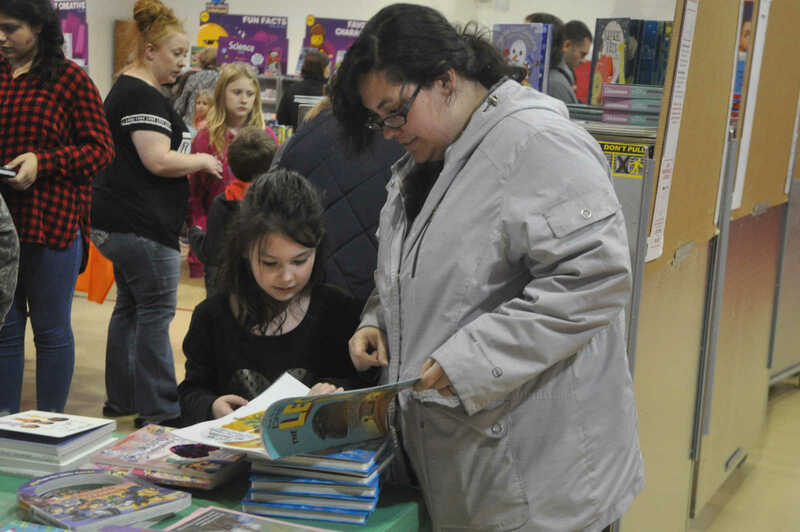 Parents or guardians not able to attend Family Night can attend the book fair with their child's class during the daytime sessions. A letter was sent home with each student indicating the day and time their class would attend. 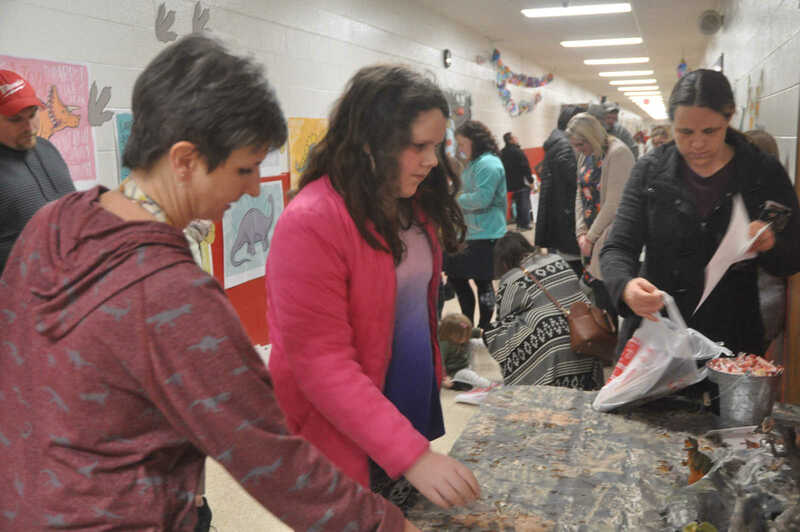 Olivia Dukes and her daughter Audrey Cazares look at books at the Family Night Book Fair. Cade Poe is trying to make his selection. 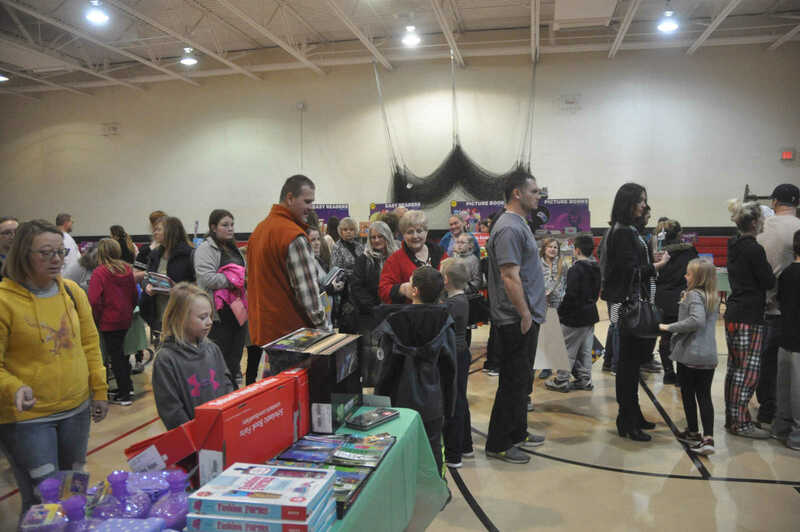 Large crowds gathered at Southwest and Central Elementary Schools for the book fair. 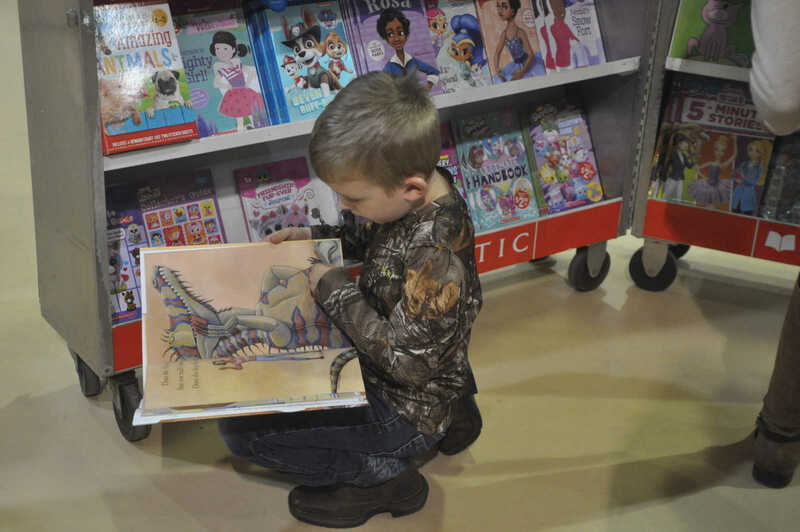 Silas Alsup finds a fascinating book at the book fair. 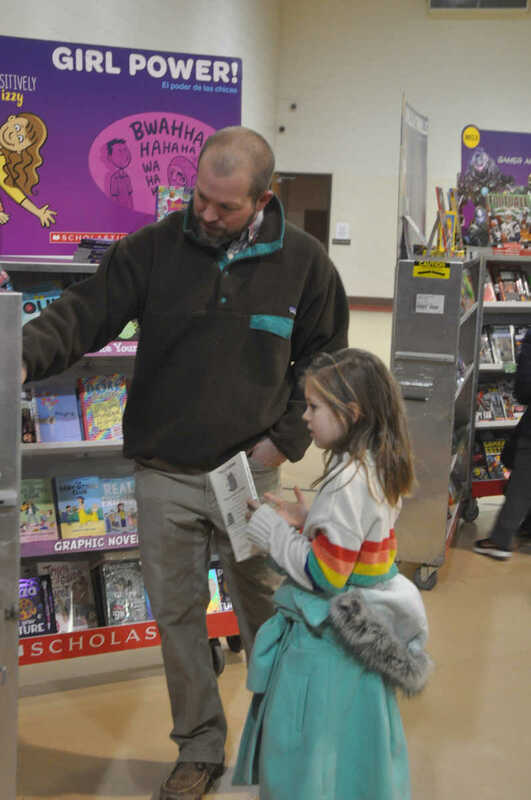 Kent Essner helps his daughter Kennedy select books at the fair. 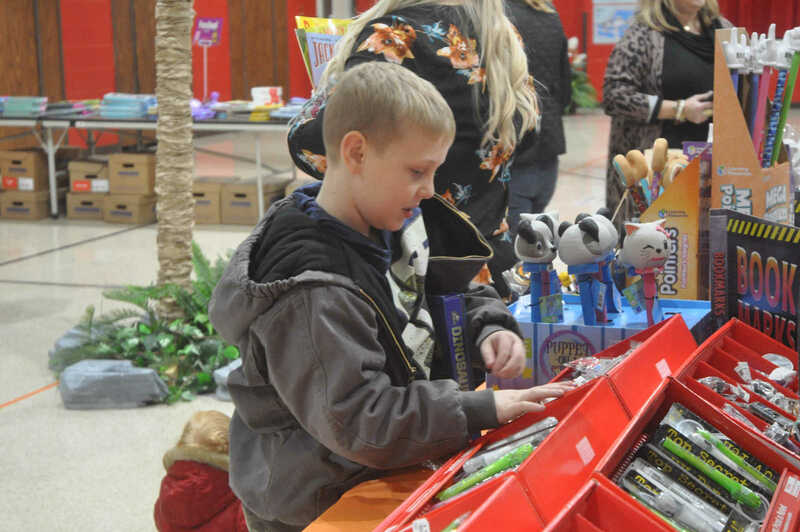 Bryden Davault looks through a bin of items. Clara Williams and Jase Crumley look through a stack of books at Southwest Elementary. 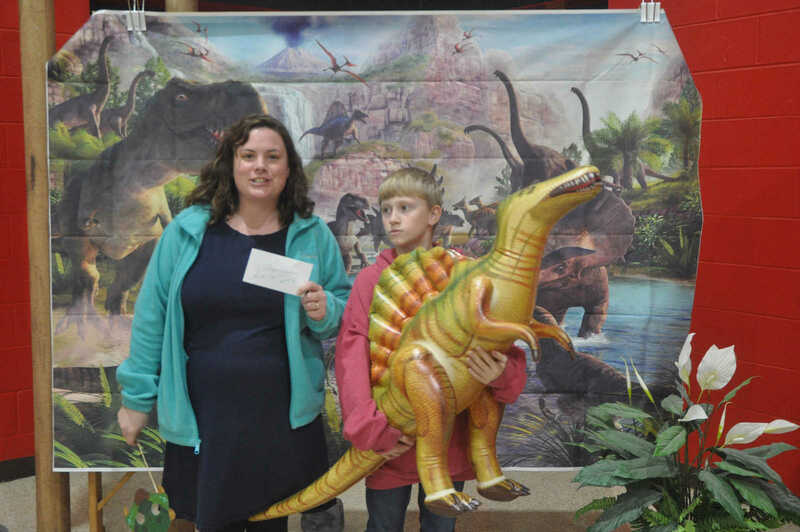 Students at Central Elementary were allowed tp pick a "dinosaur egg". A staff member would then "break" the egg in the students hand to reveal a prize. 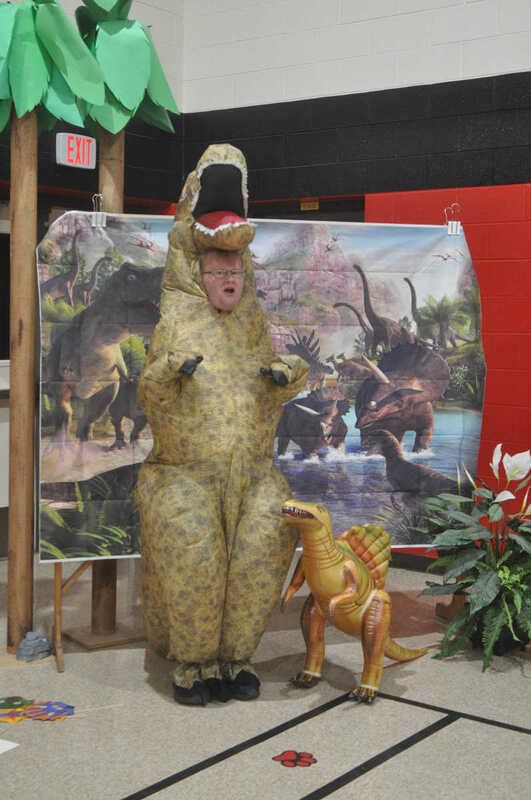 Third grade teacher Adam Clark entertained students in a dinosaur costume at Central Elementary. Kenton Barbour looks over some book marks and pens. 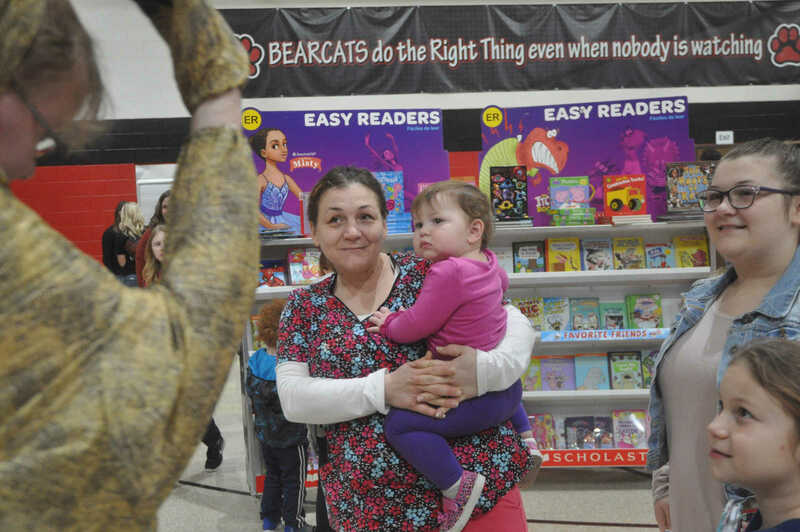 Alesha Thurston holds her granddaughter Khloe, who doesn't know what to think of teacher Adam Clark in his dinosaur costume. 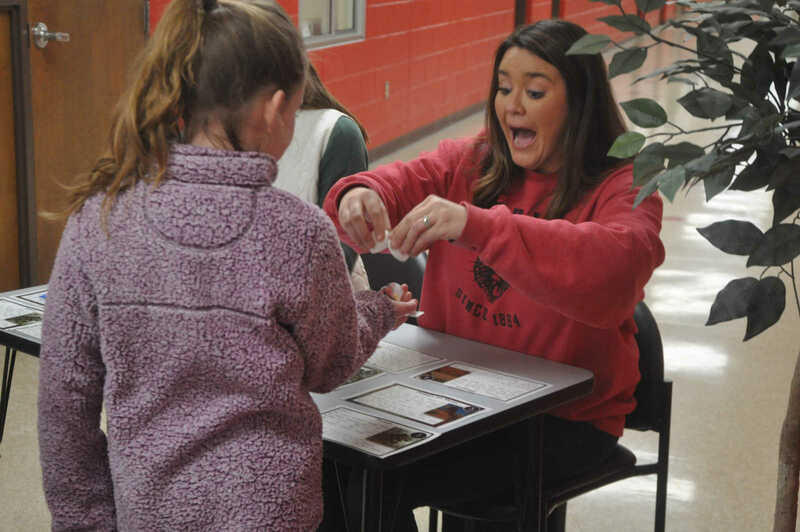 Lana Hindman helps Sadie North at one of the activity tables at Central Elemenntary. Tonya Whitehead was the winner of the $25 gift card drawing for the parents. She is shown with her son Sebastian Barker. Drawings for the students took place the next day at school.